For me, education is not in transformation. It is definitely changing, but in 25 years we will still be able to recognize the school (unlike the transformation of the caterpillar). Although the inside structures and learning environments will be quite different, the infrastructure of the school is probably not leaving us. Last year a speaker challenged a room of administrators to think of one public institution in history that has transformed – I am still thinking of an answer. 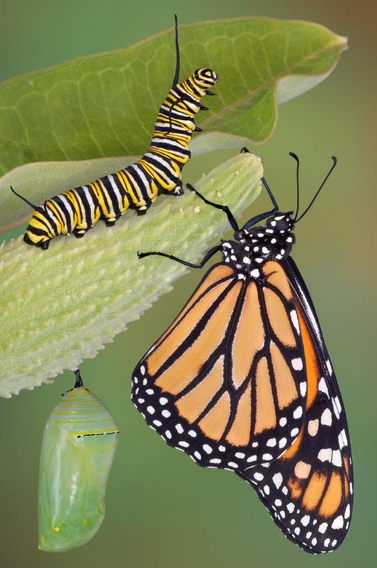 If not transformation, what is the change we are seeing in education? Some of my peers bring up reform. Reform is simply the the fine tuning of the factory, improving the factory to make it more productive. 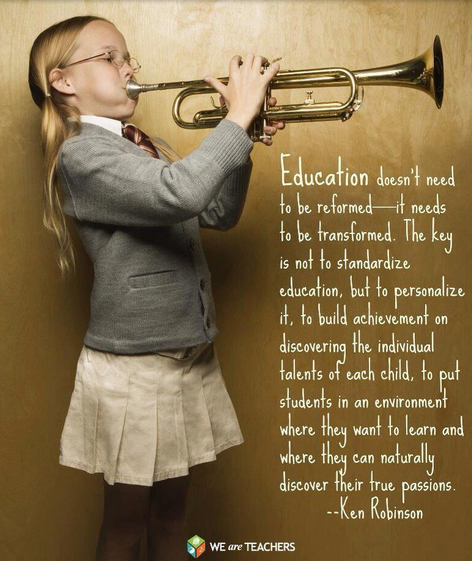 Education definitely needs more than a fine tuning. Not transformation, not reform, then what? In a world and profession that is often hung up on labels we need to focus on the idea. I may not like the label transformation, but I sure agree with the idea of it. The idea that learning needs to be anywhere, anytime, and at any pace. The idea that schools must address the needs of all learners, that there must be a high degree of student autonomy and purpose. So please do not get hung up on what the change in education is called. 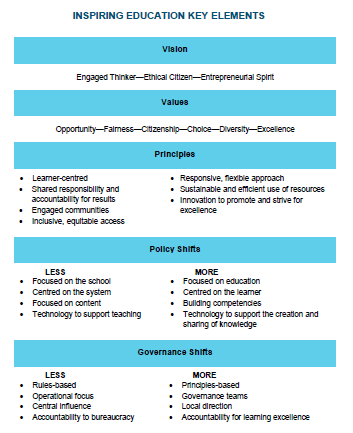 For the betterment of our schools and the learning of our students, I do hope all our stakeholders embrace the idea! Whether we call it transformation, reformation, or personalized learning – embrace the idea of change to improve learning. Maybe we aren’t thinking radical enough? Great August blog. Change in education is a great opportunity to improve learning. The challenge is to do it in an environment with a lot of entrenched bureaucratic rules and policies. I agree that what we call it, transformation, alteration, renovation, revolution, matters not. We need the radical change that keeps the good and embraces the new. Our grandchildren will hopefully not be educated in an industrialized system of sameness, but rather one of true innovational learning. Well said Michelle and I agree. Since I really hope I do not have grandchildren soon, they just might be educated in that new and approved approach.